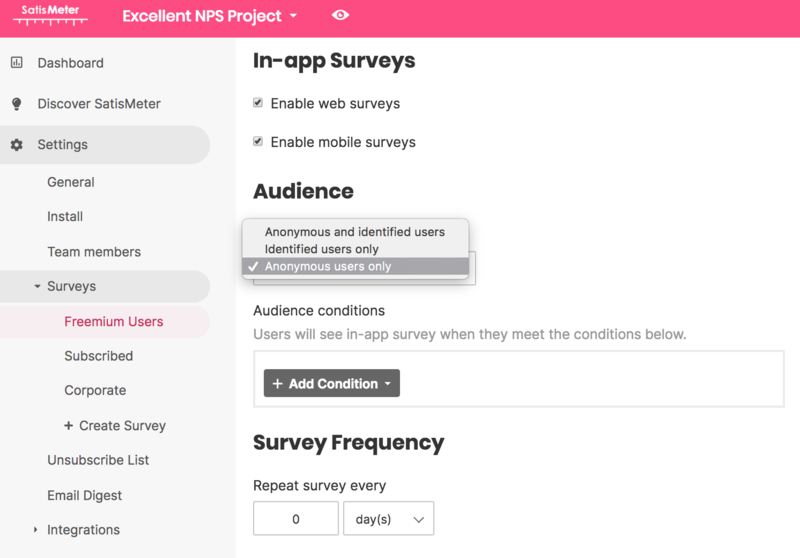 Anyone can send anonymous surveys to their users with SatisMeter. Use this feature for websites where you don't know the identity of your users. Without it enabled we survey only users that have a userId assigned. 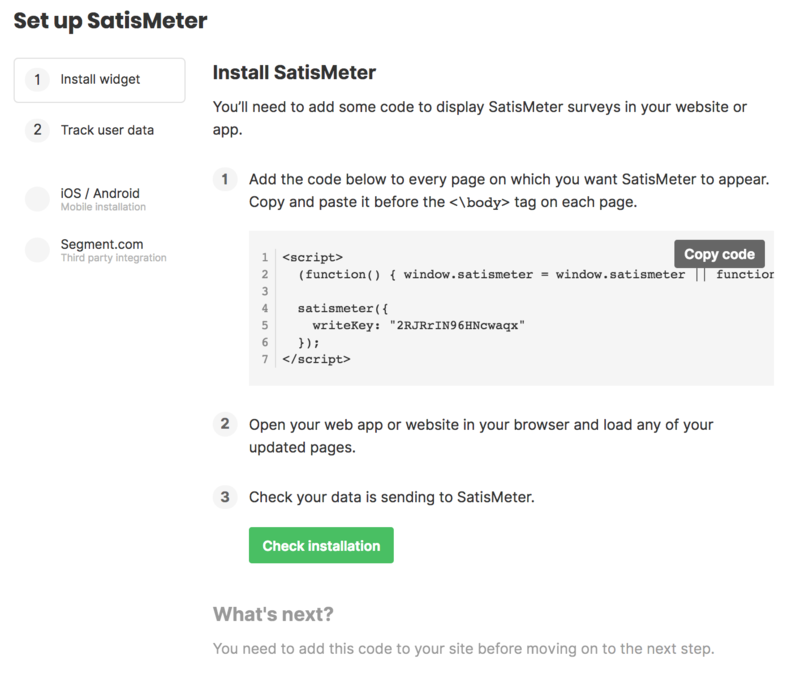 If you want to send only anonymous surveys you only need to complete the first step of installing our HTML snippet. There is no need to send us user tracking data. You will need to replace the YOUR_WRITE_KEY with write key you'll find in Settings / Integrations / API keys. In addition you will need to go to Surveys>Targeting in settings and enable "anonymous users only" or "anonymous and identified users". Segment users installing SatisMeter via Segment need to call the Identify function in their Segment code, see here.